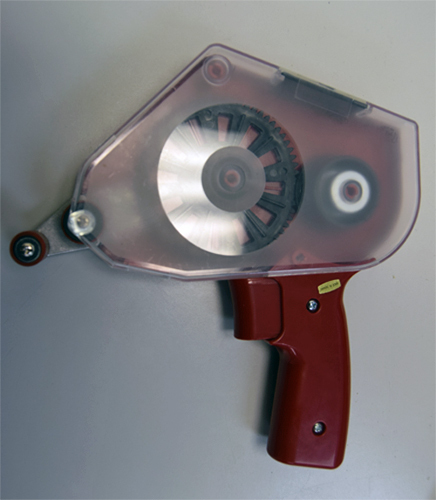 ATG dispenser gun. Able to accept up to 60 yard rolls of ATG Tape. Clear cover -Can be used with 1/2" and 3/4" ATG Tape Extra wide single roller that will not gum up with use. Clear cover allows easy visibility of tape and liner eliminating the need for extended rollers. Applicator is ideal for high volume applications and will lay down a neat clean strip of ATG tape.